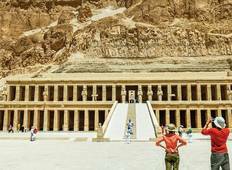 Explore a varied offer of budget river cruises that will take you through some of the most renowned destinations such as Aswan and Luxor. Each affordable cruise will provide you with memorable experiences for some of the lowest prices on the market. "the trip was fantastic. Our group was small and we were able to get to know everyone..."
"First things first, if you’re on the fence about going to Egypt because you hear..."
"This tour was amazing I fell in love with Egypt due to the awesome knowledge of their..."
"Best Price you can see ever in Egypt this s cruise includes the visits of luxor,..."
"Best Trip in my whole life with my lovely family We read the reviews of Egyptology..."
"We loved the 14 day Egypt highlights tour. 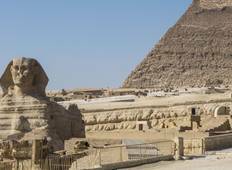 Best part of the tour was Peter our guide...."
"I decided to venture into Cairo on 16th November 2013 for an 8 day stay, despite..."
"I had an amazing time on this Egypt tour. The tour guide was excellent; there were..."
"Well, where does one start to describe your trip to Egypt with Timeless Tours, your..."